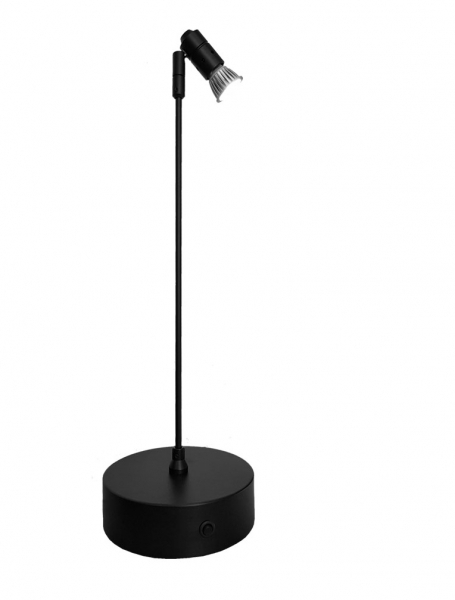 TSP1A spotlight incorporates and independently adjustable 12V spotlight that will accept all types of retrofit MR11 LED lamps up to 4W and is the perfect solution for illuminating your displays in booths, craft fairs and exhibitions. TSP1A incorporates an integral switch and charging point. The base of the spotlight is weighted to ensure stability and is manufactured with a protective felt pad to protect your display. As with most LED spotlights they emit very little heat so there is no risk to potential customers while browsing your display.